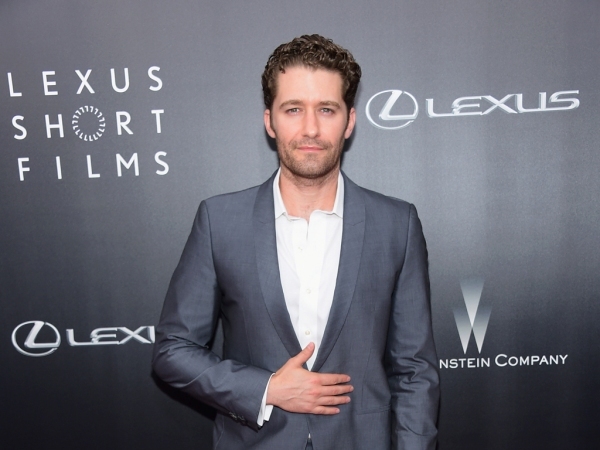 Matthew Morrison and his fiancée Renee Puente tied the knot on Saturday evening in Maui, Hawaii. Matthew Morrison has got married. The Glee star and his fiancée Renee Puente tied the knot on Saturday evening in Maui, Hawaii. They exchanged vows in front of 50 friends and family members, opting for a private estate in Kihei as the venue. Matthew’s representative has confirmed the nuptials. People magazine has an exclusive picture of the 35-year-old star and his new wife on their special day. They are seen grinning at the camera in their wedding outfits, and the actor is in a necklace of leaves. Matthew chose a blue Brooks Brothers tuxedo for his wedding outfit, while Renee was dressed in a Gustavo gown with lace overlay and sleeves. She walked down the aisle to Feels Like Home, which was sung by Kiley Dean and there was also a pianist on hand to entertain guests. During the evening reception Renee did a Hula performance, with her new husband joining her for a joint attempt later. They also showed off their musical passion, singing a duet of Laura Benanti's Starry Eyed/Video Games, plus guests were treated to a dessert station. Matthew popped the question last year, getting down on one knew during a horse trek in Maui. "She couldn't breathe for a little bit. So I had to do some CPR, then I asked her again and she said yes," he previously joked to Britain's OK magazine. "We tied the horses up and took a little walk on the beach and I knelt down and asked her to spend the rest of her life with me."